The Mount Benson Regional Trail needs is falling apart. Poor trail routing, trail braiding, water erosion and pooling water, have combined to create numerous issues that mean the trail can’t sustain the growing traffic. It’s time to do something about it! The primary purpose of this project is to prevent erosion and environmental damage from foot traffic along the Witchcraft Lake Regional Trail to the peak of Mount Benson. The Island Mountain Ramblers mountaineering club wishes to provide community service to the citizens of Nanaimo by creating a legacy of trail stewardship and sustainable enjoyment of nature. 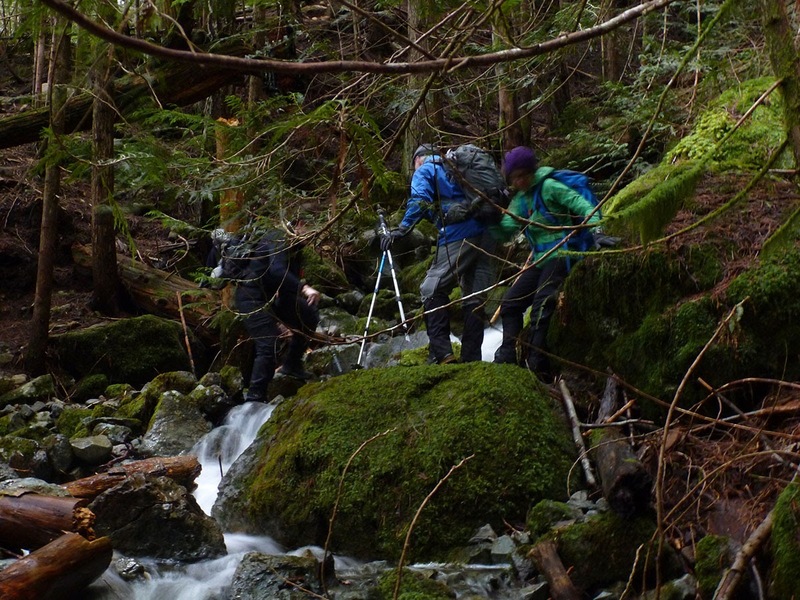 We are offering to provide management and volunteer labour to a trail upgrade project between Witchcraft Lake and Mount Benson. As you may know, the route from Witchcraft Lake to Mount Benson suffers from overuse drainage issues, trail braiding and shortcutting on unofficial trails. We have an agreement in place with the Regional District of Nanaimo to improve specific sections of the trail.